Adrian Shaughnessy is a graphic designer and writer based in London. In 1989 he co-founded the design company Intro. Today he runs ShaughnessyWorks, a consultancy combining design and editorial direction. He is a founding partner in Unit Editions, a publishing company producing books on design and visual culture. Shaughnessy has written and art directed numerous books on design including How to be a Graphic Designer Without Losing Your Soul which has sold over 70,000 copies to date. Graphic Design: A User’s Manual and his latest book is Supergraphics — Transforming Space: Graphic Design for Walls, Buildings & Spaces (Unit Editions). He writes regularly for Eye and Creative Review, and has a monthly column in Design Week. He is an occasional contributor to avant-garde music magazine The Wire. From 2006 until 2009, Shaughnessy was editor of Varoom, a publication devoted to the critical appraisal of illustration. Shaughnessy has been interviewed frequently on television and radio and lectures extensively around the world. In 2010 he was appointed visiting professor at the Royal College of Art, London. 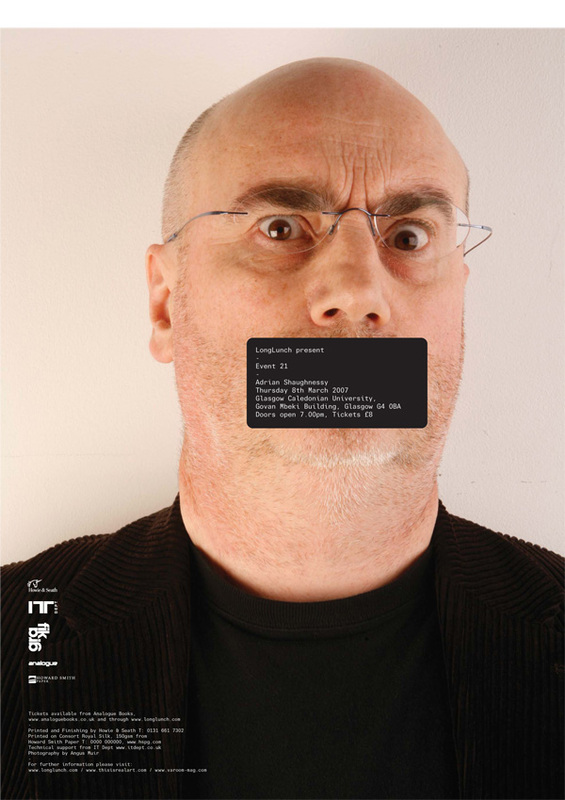 He hosts a radio show called Graphic Design on the Radio on Resonance FM.